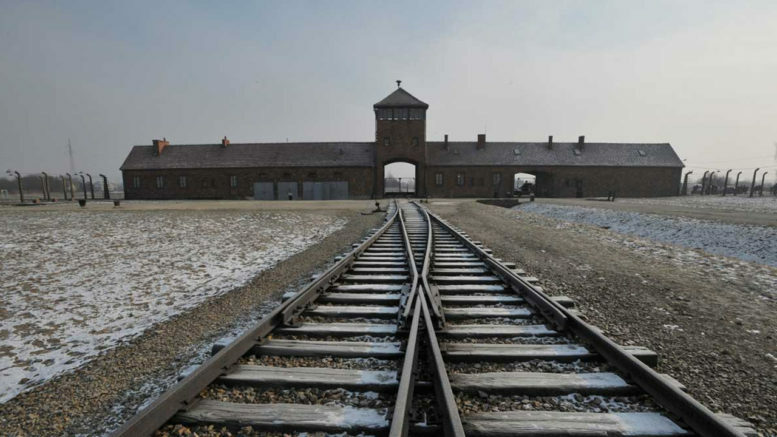 Tomorrow, January 27, has been set aside by the United Nations as an annual International Holocaust Remembrance Day, marking the anniversary of the liberation of Auschwitz-Birkenau. The New Zealand Jewish Council has invited these statements in the belief that as the number of survivors dwindles, the need for attention to be focussed on the Holocaust and its lessons has become ever more critical and the plea, ‘nie wieder’ (‘never again’) must continue to reverberate in the world’s conscience. “The only thing necessary for the triumph of evil is for good men to do nothing” – Edmund Burke. As I progressed from childhood as a Concentration Camp survivor to a sentient adult in the safety and comfort of New Zealand, I found myself facing what at first appeared to be an insoluble dilemma. Do I take an easy road by wiping from my memory the tragedy and losses of my early years, removing myself from the heritage and traditions of four millennia of Jewish history and immersing myself in the easy life of secular society in my new environment? 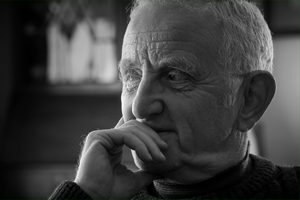 Or do I answer in a positive way the question, which my wife and fellow Holocaust survivor and I asked ourselves, namely: why did we reach freedom and security when six million of our fellow Jews did not? 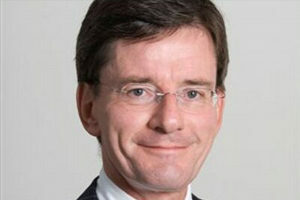 We were fortunate to find the right answer in deciding that we would not only ensure that the story of our early lives would remain as a record for our children and grandchildren, but would convey to others the lessons which should be learned from a horrendous and inexplicable chapter of world history. So-called Holocaust revisionists have endeavoured to persuade others, who may have little or no knowledge of those events, that they did not happen or were grossly exaggerated in their effect. While we personally have no way of proving the extent of the tragedy, we can provide testimony of the fact that more members of each of our families perished than survived. Moreover, records of countless victims were kept by the Nazis themselves and are now stored in the Yad Vashem Holocaust History Museum in Jerusalem in volume after volume of their names and details of their deaths. Bob Narev is a Holocaust survivor, former lawyer, and past President of the Auckland Hebrew Congregation and Chairman of United Synagogues of New Zealand. I, as a Jew, cannot forget the Holocaust. What is it that turns friends into enemies, neighbours into strangers, and leads otherwise decent human beings to rob others, first of their humanity and then of their lives? Each case is different, but it seems to me that it begins with fear. When the world changes, and not for the better, people start worrying about what the future holds. Fear is the most ancient and powerful of all human instincts, and usually it seeks an object, something to focus on. When you hear the words, “It’s all the fault of,” – the fault of the Jews, the Muslims, the Tutsis, anyone – that’s when the alarms should start ringing. Because if history teaches anything, it is that it doesn’t take evil men to commit evil deeds. All it takes is fear and a willingness to blame others. 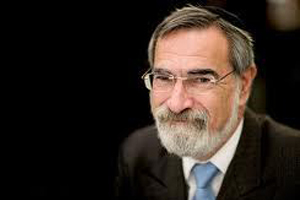 Rabbi Lord Jonathan Sacks is former Chief Rabbi of the United Kingdom, and Professor of Law, Ethics and the Bible at King’s College, London. 72154 was the number tattooed on my mother’s left forearm. She acquired it soon after arriving at Auschwitz on a train, crammed into a freight car with her mother and so many others that many died of asphyxiation before they could be more formally killed later. Hilary, her father, had been shot in front of them at Gestapo headquarters in Katowice a few weeks before. Unlike the many millions of Jews, Gypsies, Communists and others who were exterminated during that time, my mother survived, she said by luck. How could life go on for her after what she saw, heard and endured? Although forever haunted by those experiences, in the decades that followed, thanks to love and help from my father, Zosia Galler became a glamorous, generous, loving, liberal- minded wife, mother, grandmother, and friend. Sadly, the lessons from those dark times seem to be continually lost on many, confirming that the one thing we learn from history is that we may never learn. The dangers of indifference, the fragility of democracy, and an absence of moral and ethical leadership are still prevalent today, hence the suffering of millions continues and many more fail to reach their potential as citizens of our world. 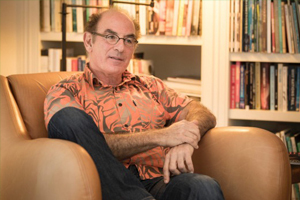 Dr David Geller is an Intensive Care specialist and author. It’s one of the great geographical juxtapositions in history: the site of the bunker where Hitler committed suicide, and the Berlin Holocaust Memorial. Only 150 metres separate the architect and executioner (in every sense) of the Holocaust with the location which commemorates that incomparable tragedy. No text – no matter how meticulous or meaningful – can ever adequately express the trauma and torment of the Holocaust’s victims. But while adjectives are quickly exhausted, its enormous scale and consequences demand we grapple with the unfathomable. How, then, do you go about capturing such a catastrophe in concrete, as has been done in Berlin? The answer appears in 2711 slabs of varying heights in a setting where people can walk among them. The impact is mortifying: a disorientation of the senses followed by a disorientation of the emotions. And there is no consolation, let alone redemption. How could there be when the Holocaust still defies comprehension? 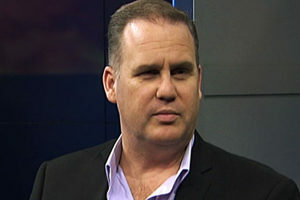 Dr Paul Moon is Professor of History at Auckland University of Technology. The horrors and depravities of the Holocaust reflect several things: the human tendency to oppress racial and cultural minorities, the age-old traditions of anti-Semitism, the idolatrous delusions and lust for power of Nazi ideology, the loss of respect for the value of all human life, the frightening way in which cruelty and callousness can become routine, and the bringing together of genocidal intent with industrial-style efficiency. Xenophobic mistreatment of Jews had been common in the pagan Roman Empire, and – shamefully – occurred also in Christianised medieval and modern society. Notwithstanding that Christians and Jews have different views about the Messiah, there never was, and never can be, any valid Christian defence of anti-Semitism, or indeed of any hatred, racism, or murder. All are contrary to the teachings of Christ. Christians have characteristically seen the Holocaust as a bitter reminder of the innate human capacity for evil, and the possibility of any society becoming spiritually and morally unhinged and going terribly wrong. It is salutary too to recall how ordinary citizens responded to the ever-deepening evils of Nazism. 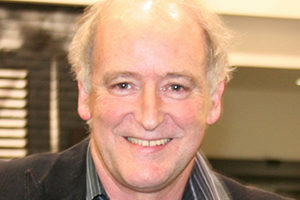 Rev Dr Stuart Lange is Senior Research Fellow at Laidlaw College, Auckland, and a Presbyterian minister. A few years ago I heard about a small New Zealand child who told her friend a secret: the secret was that she was Jewish. After they’d seen TV footage of Kiwi protesters burning an Israeli flag and heard their calls to “bash the Jews, cut their heads off”, the little girl’s parents decided to protect her by hiding her heritage. Around the same time an Auckland pre-schooler was attacked by strangers and his yamulke ripped off his head because he was a Jew. That this could happen here in Aotearoa makes me incredibly sad, angry and ashamed. 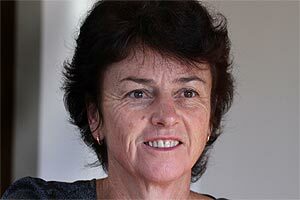 Dame Susan Devoy is the New Zealand Race Relations Commissioner. Every Holocaust Memorial Day, people solemnly repeat the famous phrase “never again”. The World was so traumatised by the horrors of what happened in Germany in the years 1939 to 1945 that no one ever believed it could possibly happen again. But look at the events of the past 12 months: all across Europe we see the rise of far-right parties who have anti-Semitism at their core; even the British Labour Party has had to hold an inquiry into anti-Semitism within its ranks. Extremism is infecting the politics of many societies. The phrase “never again” rings hollow. The lethal obsession with Jews changes its form every generation but the essential irrational hatred is still there. Hon Chris Finlayson is Attorney General and Minister for Treaty of Waitangi Negotiations. These reflections were originally published in the NZ Herald.